I’ve been thinking a lot about the saturated landscapes in the west of Ireland. I think I’m craving that color density, and the intense, windy quiet. People often fixate on that green-verging-on-neon color when they think about Ireland, but the west has so many aquas and deep muds and dark moody indigos. 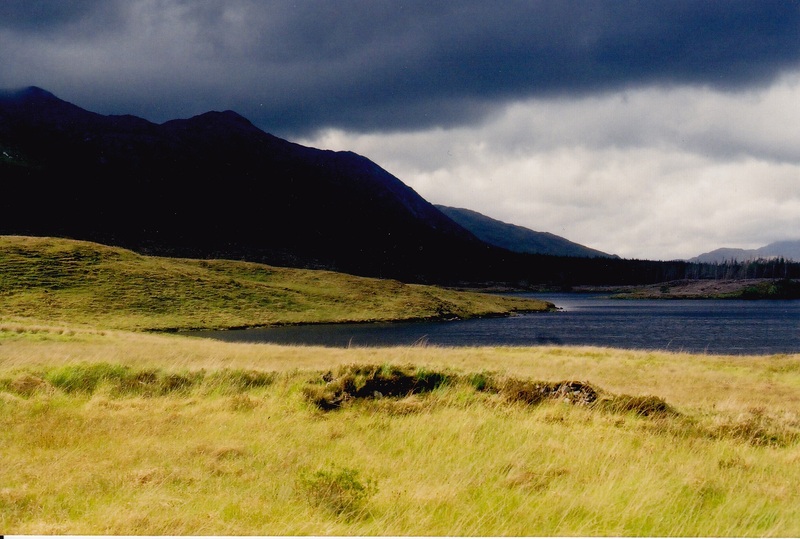 I took this picture in Connemara, and had it framed on my desk at work for years. A long time ago I lived in Ireland for a little while, and lately I’ve been daydreaming about what it would be like to go back again. If I could live in Ireland again now, I’d want to write in a windowed bungalow all day and sing along in village pubs at night. There’s something tremendously compelling about all that lush vegetation.